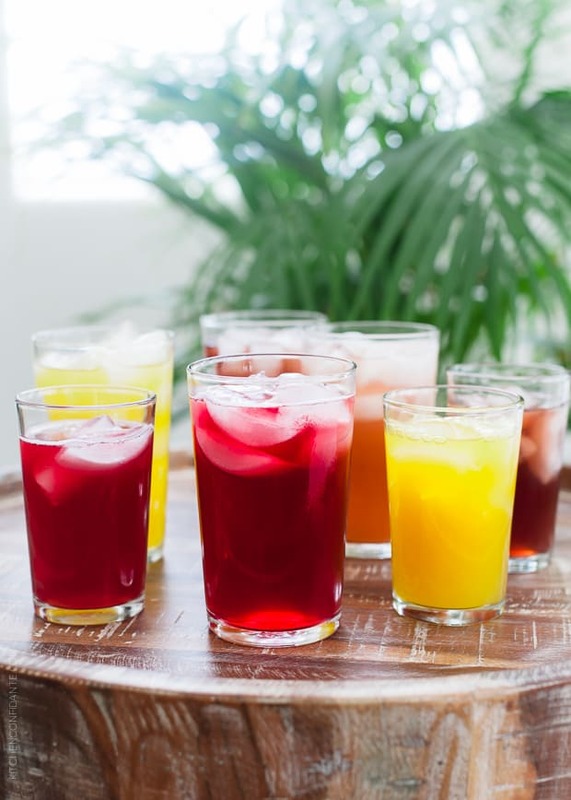 Curious about kombucha? 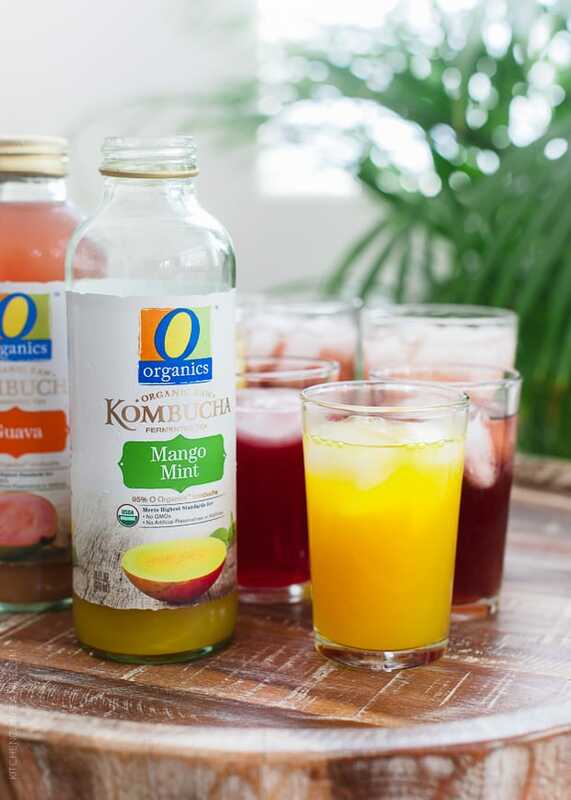 Today I’m reviewing O Organics Kombucha, available at Safeway and Albertsons stores. 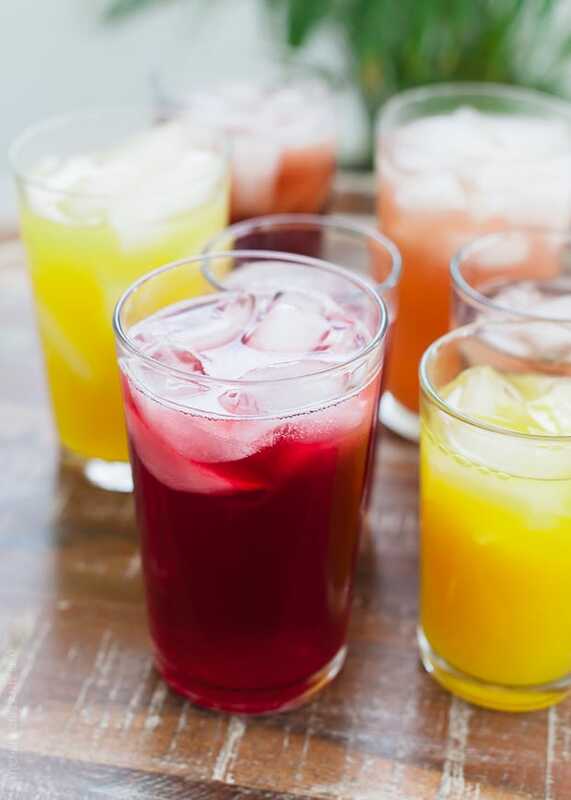 Ever since I read and cooked from my friend Julia’s cookbook, Delicious Probiotic Drinks, I became intrigued with the world of fermented beverages. I dipped my toe into creamy kefir, and soon found myself more aware about how my body performed when I paid attention to a diet rich in probiotics. I soon grew a taste for kombucha, which, if you’ve never tried it, is a fermented tea, which, like other probiotic drinks, contains good bacteria and yeasts said to be beneficial to our digestive and immune systems. I know that the science out there has many takes on kombucha, but I personally love it because it tastes good. When I try to describe the taste of kombucha, I liken it to a sparkling wine. In some ways, it’s not very different. 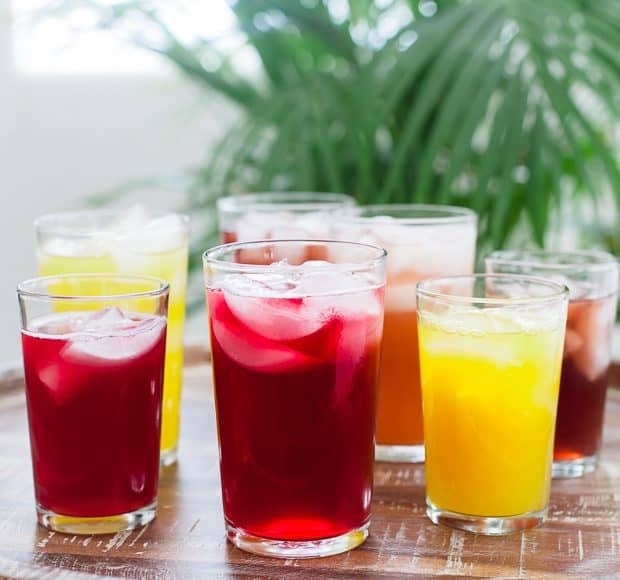 Instead of dealing with grapes and fermentation, you make kombucha with tea and kombucha SCOBY, followed perhaps by your choice of fruit. It is effervescent and not unlike drinking a sparkling soda. The thing is, of all the probiotic drinks, kombucha is probably the most intimidating to make at home. So I would rather buy my bottles of kombucha, already brewed and ready to be sipped. 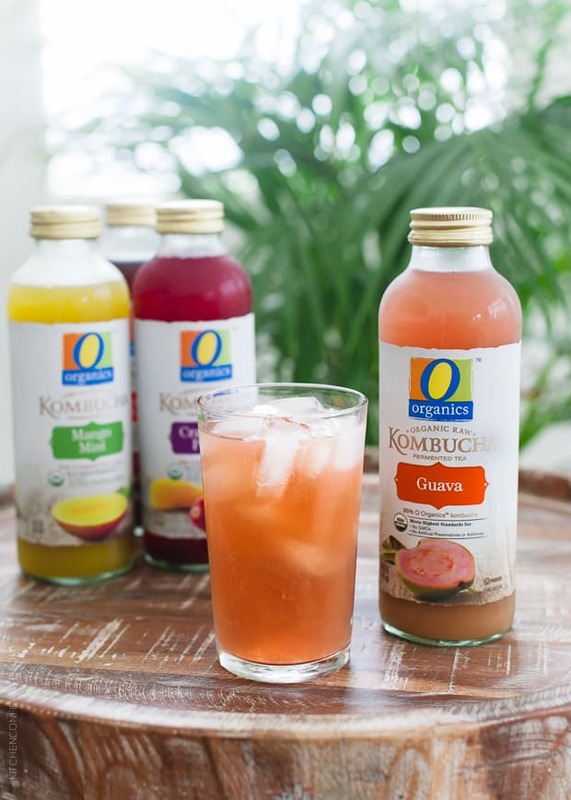 I don’t share a lot of straightforward reviews with you, but when I had the opportunity to review O Organic’s new line of Organic Raw Kombucha, I was really interested to taste it. For one, it’s readily available at Safeway stores, which are plentiful in my part of the world, and it’s also more affordable than other kombucha brands out there. Each bottle contains more than two billion probiotic organisms as well as live kombucha cultures. But how does it taste? New flavors include Ginger Lemon, Mango Mint, Guava, Pomegranate Hibiscus Lime, Cranberry Peach and Raspberry Black Currant, and I tried all of the flavors that I could find at my local Safeway. I was so pleased! The fruit flavors shone through with each bubbling sip, and it was truthfully hard to pick a favorite. I think if I had to pick one favorite, I would lean towards the Guava, as it was like having a sparkling tropical spritzer. It was so refreshing, especially since I was testing the kombucha during a particularly hot spell! 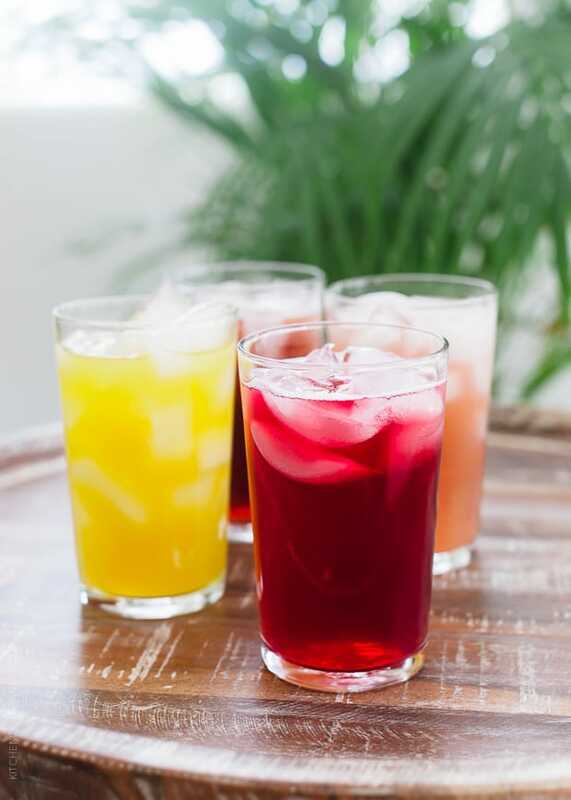 If you have never tried kombucha before and are curious, I think you’ll like trying the O Organics line – it’s sweet, it’s refreshing, and I love how I feel when I have a glass of kombucha every day. And if you’re a pro at the kombucha, I think you’ll appreciate that the O Organics line is made with USDA Organic ingredients, and is more affordable than other kombucha brands out there. And if you brew your own, this might save you time, too! Time is something we can always use more of, don’t you think?